Yamaha Unified Communications is now offering a three-year extended warranty for its CS-700 Series Video Sound Collaboration System. The new coverage option demonstrates the company's commitment to provide customers with ease of mind, product quality, and reliability. Currently available in North America, the maintenance coverage provides customers with advanced replacement and unlimited service and technical support calls. 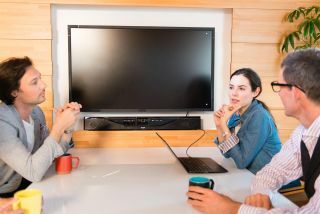 "As more and more companies embark on a new communications journey and use technology to bridge remote participants, it's only natural that those customers will need additional support to create the best collaboration environment," said Mike Fitch, vice president of global sales and marketing, Yamaha Unified Communications. "Our broadened warranty for the CS-700 offers the most comprehensive protection coverage available for a professional collaboration system. This policy will give customers confidence in their huddle room investment and peace of mind maintaining installations, even years down the road." When experiencing an issue under the extended policy, technical support is just a phone call away. Once the problem is confirmed as a product problem by Yamaha UC's support specialists, a replacement unit will be shipped within the next business day. This will help limit system downtime and interruption to enterprise communication workflows.